On Wednesday night, around a hundred or so good-looking and successful twentysomethings (“Millennials”) gathered at a penthouse twenty stories above the Lower East Side. The majority of them were members of something called Magnises, a kind of social club for the aspiring entrepreneurial class. Magnises was founded two years ago by the broad-shouldered and affable Billy McFarland and the equally broad-shouldered but quieter Martin Howell. Until last month, Magnises operated out of a townhouse in the West Village; two weeks ago, they moved to the Hotel on Rivington, the penthouse of which was already being used as an event space. Both Howell and McFarland went to prep schools in New Jersey: Howell, who is from Zurich, to the prestigious Lawrenceville School — when I told him that I went to a nearby, less prestigious boarding school, he grimaced, and then we laughed — and then on to the University of Virginia; McFarland, who is from Short Hills, to the Pingry School, and then on to Bucknell, although he famously dropped out after a year. According to Streeteasy, the lot at 107 Rivington Street was sold in 1998 for just under a million dollars, at sixteen dollars per square foot. Then, in 2000, it was sold for 3.8 million dollars, at sixty-three dollars per square foot. At the time, according to the website of Eastern Consolidated, a real estate investment service who represented both the buyer and the seller in the deal, there was a two-story building on the lot with over nine thousand cubic feet of air rights. 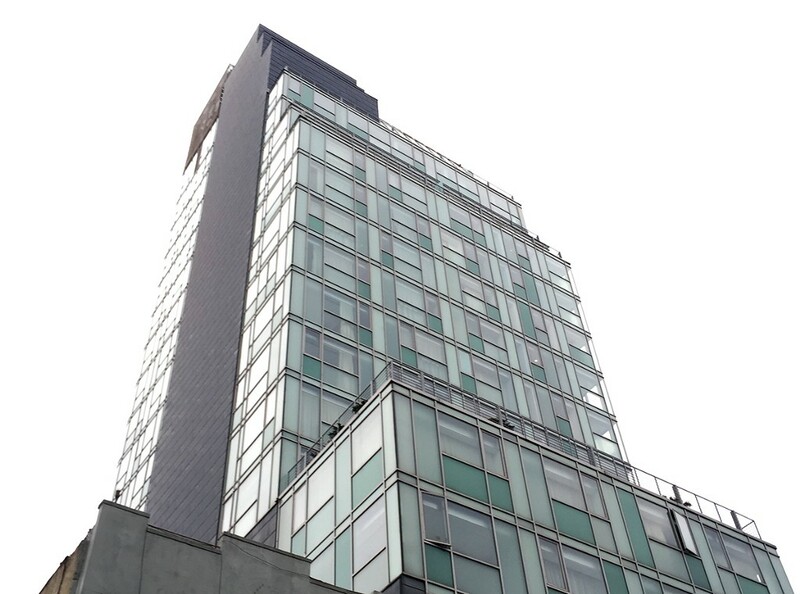 Now, there is the glittering, twenty-story Hotel on Rivington. At 139 Ludlow Street, no more than a block away, the venerable Soho House is renovating a historic funeral home, where it will open its second location. Like any good entrepreneur, McFarland’s ambition is to weave a “fabric” that clings to every aspect of people’s lives — or at least the lives of Magnises members. “The key,” he said, “is that we’re with them everywhere they go.” Late last year, he told me, the company closed a round of nearly three million dollars in funding; in the next twelve months, Magnises plans to open up spaces for its members to use in ten new cities — they’ve already launched in Washington, D.C., while Boston and Chicago will follow, in July — and release an app. “We have the Magnises card, so we’re constantly in their wallet; we’re on their phone, through the Magnises app; and then we’re in their city, with a physical space,” he said. “When we first launched the card, we noticed that whoever had the card, they wanted to sort of identify with each other — they considered themselves cool or whatever it was, they wanted to bond with each other, but there was no community,” Howell said. “We needed to create a space for them to all increase their networking potential.” That was when Magnises decided to start renting out a townhouse in the West Village. “This was not the plan on Day One,” he added. “We’ve created this platform where members feel truly comfortable bringing their own ideas and contributing in their own ways, and encouraging them to do so,” Howell said. “It’s been working beautifully, as members come back every day and try to contribute more to the community.” The DJ playing music at the party on Wednesday was a Magnises member, as is the rapper Wale, who performed at the recent D.C. launch party. (“The team behind Magnises are some real Zuckerberg types. They know what’s up and they know how to make stuff happen,” Wale told Billboard. “Once I met them I knew they would be blowing up, so that’s why I got involved.”) Reportedly, French Montana is also a Magnises member. Have you noticed a real estate listing that you would like to have investigated? Send cool tips, fun listings, and hot gossip to brendan@theawl.com.